Публикувано от Anton в 22:45 ч.
the saucer people 14 октомври 2013 г., 22:26 ч. 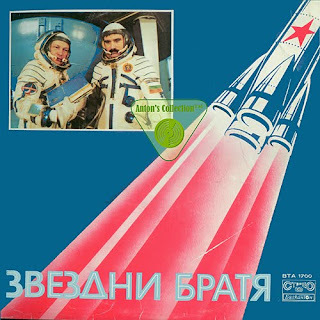 Many thanks for this rare record, I am a huge fan of how space and space travel were represented culturally in the former "Eastern Bloc" and Soviet era countries. Without your hard work, I would never ever come across these records and I thank you so much for all your hard work.